A new rum has made it to the shores of the UK for the first time, but interestingly not from the Caribbean. Mexico is where El Ron Prohibido hails from and brings with it a rather simple story. It is said that during the 18th century, the Spanish ships reached America with sweet wine reserves in barrels. Instead of going back with them empty, they decided to fill them with Chiguirito, also known as Mexican rum. They took advantage of the trip back to absorb the barrels aromatics characteristics, resulting in an interesting finish. 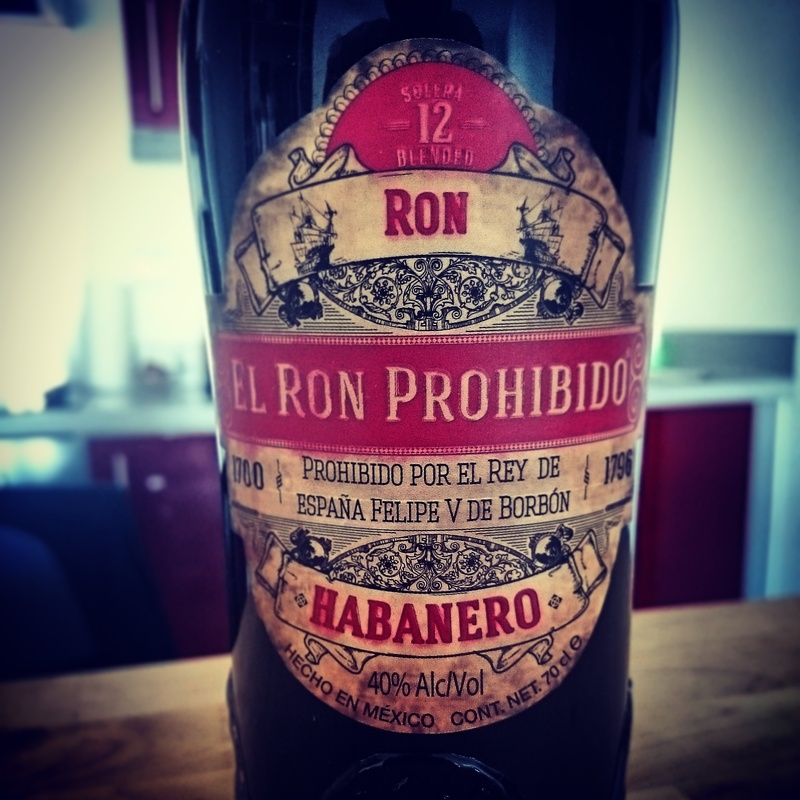 Eventually, this was to be forbidden by the King of Spain, Felipe V de burbon, for the resulting inebriation and the fact that it cost Spain’s own production of spirits to decline. The rum itself is produced from sugar cane, fermented, then distilled within a column still. As per the legend, it is then matured within oak barrels for 12 years, and utilises the solera system (used to make Jerez), effectively combining rums of different aging profiles and adding a small amount of raisin wine. Dried fruits and deep sherry on the nose. Burnt toffee and fudge come with an underlying sweetness. Thick liquid on the palate, with spice immediate. Nut flavours of almond and walnut linger, while a heavy raisin bounces to and throw. The sherry dominates, with a rounded finish between bitter and sweetness between vanilla and coffee. Long. Incredibly different to what you would expect this to be. Clearly aged within the solera system, and for a good few years. The bottle holds that traditional look to it, almost as if it were coming straight off a Spanish ship, and the small handle adds that vintage look to it. The faded look of the label, and wax seal adorned, adds that Mexican rum look to it. Hard to explain in words, but it just adds intrigue to the whole brand to those who are into going away from the norm. One for your drinks cabinet for sure. No official cocktails as of yet, but I have seen the name Old Fashioned floating around conversations. Give it a go and let me know if it works.